Crisp, sharp, detailed Full HD 3D. The VPL-HW65ES is a fantastic option for any movie lover looking for an incredible cinematic experience at home, far beyond the reach of TV. panels Produce an ultra-smooth picture by minimising the space between pixels at a superfast speed. The VPL-HW65ES is synchronised with our 3D glasses for a jaw-dropping experience and minimal crosstalk. With 1,800 ANSI lumens colour brightness and a dynamic contrast ratio of 120,000:1, it’s an an advanced Home Cinema experience that has to be seen to be believed. Advanced SXRD panels along with features like Reality Creation and Motionflow mean you’ll see your favourite films at their very best, in 3D and 2D. Reproduce colours and textures that are lost when movies are packaged to disc, so you get much closer to the 1080p original. Following the success of our VPL-HW55ES Home Cinema projector, we introduce our next generation VPL-HW65ES model, with even more great benefits. Featuring longer durability, versatile automation compatibility with IP control, built-in USB firmware updates, RF 3D transmitter and more. Developed for our leading 4K Home Cinema projector range, our next generation Reality Creation reproduces colours and textures that are lost when movies are packaged to disc. It gives you crisper, sharper Full HD pictures, much closer to the 1080p original, for even better upscaling. 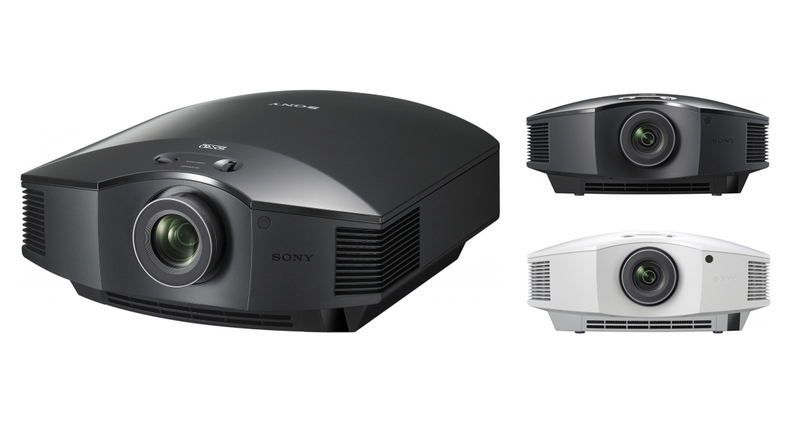 With an improved optical engine, the VPL-HW65ES is much brighter than our previous standard Home Cinema projectors. At 1,800 lumens, it produces clearer images and faithful colours, even in well lit rooms. Conventional home cinema projectors sacrifice some colour accuracy by increasing greens to improve brightness. With Bright Cinema and Bright TV modes, the VPL-HW65ES retains true colour and contrast, even in a bright environment. To get the best from your projector, the VPL-HW65ES has a USB port, to automatically receive the latest firmware updates, direct to the projector. 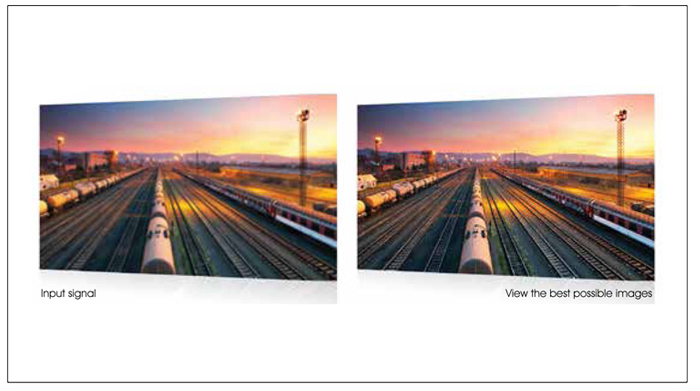 Our SXRD panels reduce pixel gaps for super-sharp images. Because our 3D glasses have a synchronised shutter speed, you’ll enjoy incredible high-definition 3D with minimal crosstalk. The VPL-HW65ES automatically recognises 2D or 3D content and allows you to pre-select Standard, Dynamic, Cinema, Game and Photo modes. The VPL-HW65ES is compatible with many home automation systems, including Crestron Connected, AMX and Control4 SDDP. It has an RS232 interface, RJ45 control and IR-IN terminal. Enjoy the Home Cinema experience for longer than ever without interruptions and now with up to 6,000 hours lamp life, for perfect viewing. Keep things tidy and free yourself from cables with an optional wireless HDMI emitter/ receiver kit. The VPL-HW65ES will connect wirelessly to your Bluray Disc™ player, games console and more. Our advanced cooling system means fan noise is reduced to a whisper-quiet 22db. 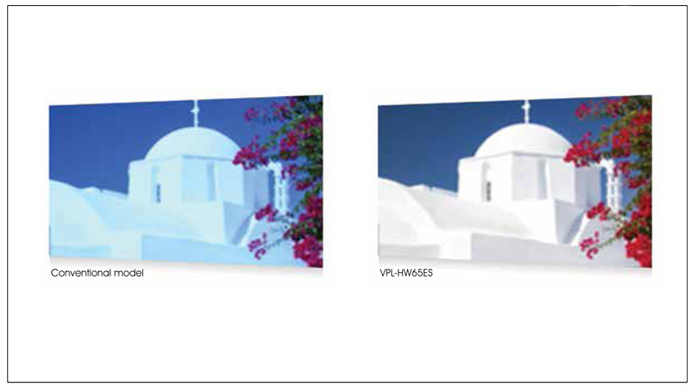 A wide vertical range allows more options for placement and installation, without reducing image quality. A correction tool allows you to adjust the gamma and hue, saturation and brightness of each colour to get the picture you want. 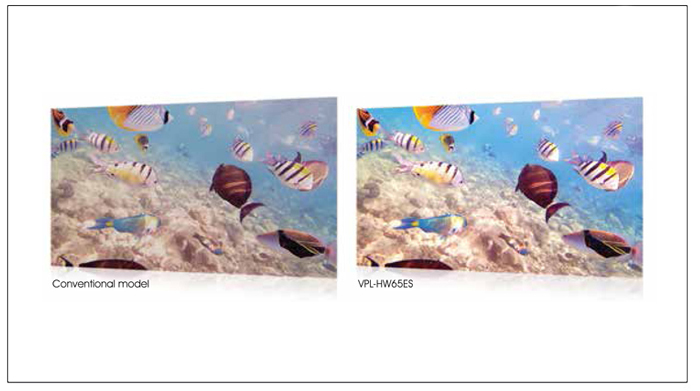 The VPL-HW65ES comes with the Sony 3-year PrimeSupport package. There are no unexpected costs if you experience a problem, just fast, efficient technical support from free multi-lingual helpline advisors. This package also includes 1 year or 1,000 hours lamp cover.